VietNamNet Bridge – After a survey and diving tour in Binh Chau near Quang Ngai province in central Vietnam, international experts have praised the area as unique because of its many mysterious ancient sunken ships. A model of one of the six Dutch cargo vessels sunken in central Vietnam in the 17th century. During an international seminar on underwater archeology in Vietnam and Southeast Asia, held in Quang Ngai province last week, hundreds of scientists and underwater archeologists conducted a survey and a scuba diving tour in Binh Chau. At the age of 80, underwater archeologist Borje Rorssell (Sweden) did not hesitate to wear diving clothes and scuba to explore the waters of Binh Chau. After two hours of diving to see wrecks there, Rorssell said the shipwrecks contained many ceramic antiquities with beautiful patterns. The wrecks are only 4m under the water’s surface so it is very favorable for the development of diving tours. "I’ve been researching underwater cultural heritage in many places in the world but Binh Chau has unique coastal waters with a beautiful strait and many mysterious ancient sunken ships," he said. 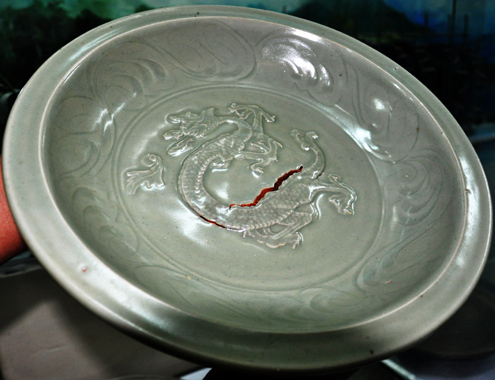 A 700-year-old ceramic plate taken from a sunken ship in the waters of Binh Chau. Introducing this “graveyard of ancient ships" to international friends, Vietnamese underwater cultural heritage expert - Nguyen Tuan Lam - said scientists surveyed an area within a radius of 10 km2 in the Strait of Vung Tau of Binh Chau Commune. 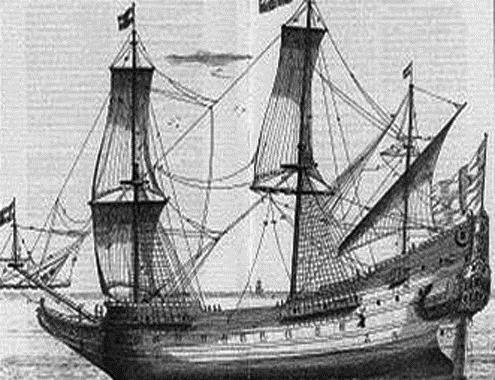 They discovered 10 ancient sunken ships. Two of the ships have been excavated. The rest have many ceramic antiques and tools of the crew dating back to the 8th-18th centuries. They are very near the coast. In particular, there is an ancient wreck made of ropes of about 1,200 years old (equivalent to the 8th century). Associate Professor Mark Staniforth, from Monash University (Australia), an underwater cultural heritage archaeologist, said the presence of many ancient sunken ships in this area demonstrated that Binh Chau was one of the busiest commercial ports in the world. "The underwater cultural heritage here is valuable. It would be wonderful if Vietnam develops tourism here through diving tours to see the wrecks," said Staniforth. Vietnamese and international experts dive to see shipwrecks in Binh Chau on October 16. He promised to ask international organizations, especially those from the Netherlands, to assist Vietnam to buy specialized equipment for underwater archaeology and train archaeological preservation staff to preserve and promote underwater cultural heritage. Associate Professor Nguyen Giang Hai, Director of Vietnam Archaeology, said that Vietnam’s archeological sector was aiming to develop a commodity archaeology model, with the participation of people in archaeological activities to better preserve heritage. Quang Ngai province is conducting a survey, with the participation of international experts, to make a map and cultural heritage records for Binh Chau waters to give to the Ministry of Culture, Sports and Tourism. The province is seeking recognition of Binh Chau as a national shipwreck relic site and calling for investment in tourism services in this area.